The al-Qassam Brigades, the military wing of the Hamas movement, said Friday that a fighter died from a stroke while on duty in Rafah in the southern Gaza Strip. The brigades said in a statement that the fighter who passed away while on duty was Naim Muhammad Ahmad al-Khatib, 25, from Rafah. The Gaza Strip, which has been under an Israeli blockade since 2007, suffers a severe shortage of medical supplies as well as equipment.Israeli bombings on the coastal enclave during last summer's war damaged or destroyed 17 hospitals, 56 primary healthcare facilities and 45 ambulances, according to reports by Medical Aid for Palestine. An Israeli senior military official has expected that Mahmoud Abbas will not leave office soon, stressing that keeping him in power will certainly serve Israeli interests. Abbas’ presence in power will help maintaining stability in the region as he strongly rejects violence and supports security coordination, Israeli media sources quoted the military official as saying. 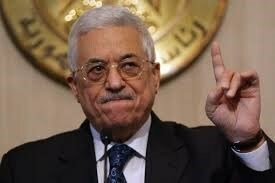 He called for ignoring some of Abbas’ recent statements. "We judge a man by his actions, not his words," he added. The source pointed out that attacks against Israeli targets have notably decreased since the beginning of the year. 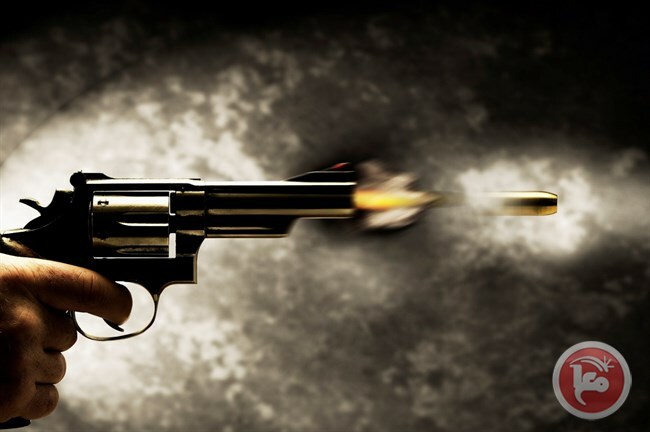 A young man, Saleh abu-Tabikh,25 ,was shot in a wedding in Jenin camp on Wednesday. Palestinian police said the man was shot in head and sustained serious wounds before he was transferred to al-Razi hospital for medical treatment. The police added said that in investigation was opened for more details. Aziz Dweik slammed the Secretary General of the International Parliament who ignored MPs of Hamas in his visit to the region. The Speaker of the Palestinian Legislative Council (PLC) Aziz Dweik slammed the Secretary General of the International Parliament who ignored MPs of Hamas in his visit to the region. 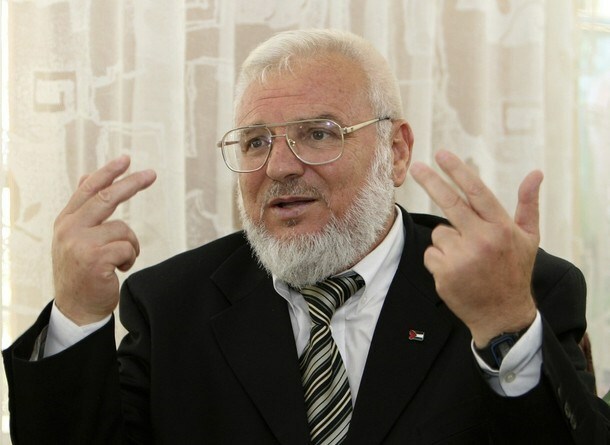 In a mail letter, sent to the president of the International Parliament, Dweik said Martin Chungong’s visit to the Palestinian Parliament blocs and ignoring the legitimate party represented by the PLC president and office staff runs contrary to the diplomatic norms and parliament work regulations. Dweik asked the president of the International Parliament to apologize for his behavior and to take into consideration the diplomatic norms and customs followed in any coming visit. The Palestinian Authority, on Thursday, announced that a long awaited reshuffle of the Palestinian cabinet had been agreed upon, Palestinian officials told Ma'an News Agency. Hussein al-Araj, formerly the Deputy Minister of Local Governance and Governor of Nablus and Hebron, will serve as the Minister of Local Governance, sources said. Sabri Saydam will serve as the Minister of Education. He formerly served as the Minister of Communications and Information Technology. Former Minister of Public Works, Deputy Minister of Planning and International Cooperation, and representative of The Palestine Investment Fund, Samih al-Abed, will become the Minister of Transportation. Sufian Sultan, the former head of the Palestinian Environmental Authority -- which was later merged, in part, into the Ministry of Agriculture -- will serve as the Minister of Agriculture, while Abeer Odeh will serve as the Minister of National Economy. Odeh served as the CEO of Palestine Capital Market Authority, a governmental financial institution. 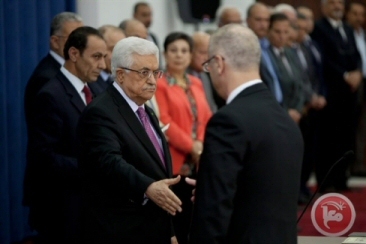 The new ministers will be sworn-in on Friday after prayers in the Palestinian Presidential headquarters in Ramallah. There had been talk of a reshuffle for months, but in mid-June it was announced at a Fateh council meeting that the entire government would soon be dissolved. The reshuffle is reportedly an attempt to preserve and reform the body, instead of dismantling it. The unity government was formed in June 2014 in a bid to end division between the Fateh-led PLO and Hamas, but has so far been unsuccessful in doing so. 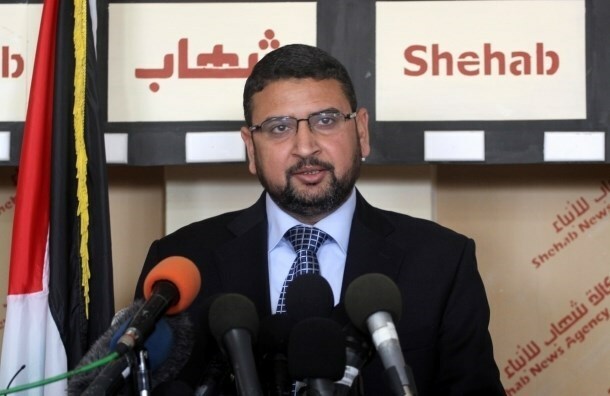 Hamas spokesperson, Sami Abu Zuhri, added that the reshuffle represents a coup on the unity deal and said that the PA has become a separatist government. Officials told Ma'an in June that Prime Minister Rami Hamdallah's resignation was an imminent part of the reshuffle, but it has yet to officially materialize. Hamdallah also serves as the Minister of Interior. The other 19 ministry positions have remained unchanged. Currently, four ministers hold positions as heads of up to three different ministries. Attempts for reform came after the unity government formed in June last year repeatedly failed to overcome divisive issues between Fateh and Hamas. Power has remained divided between the Hamas-led Gaza Strip and Fateh-dominated West Bank since 2007. 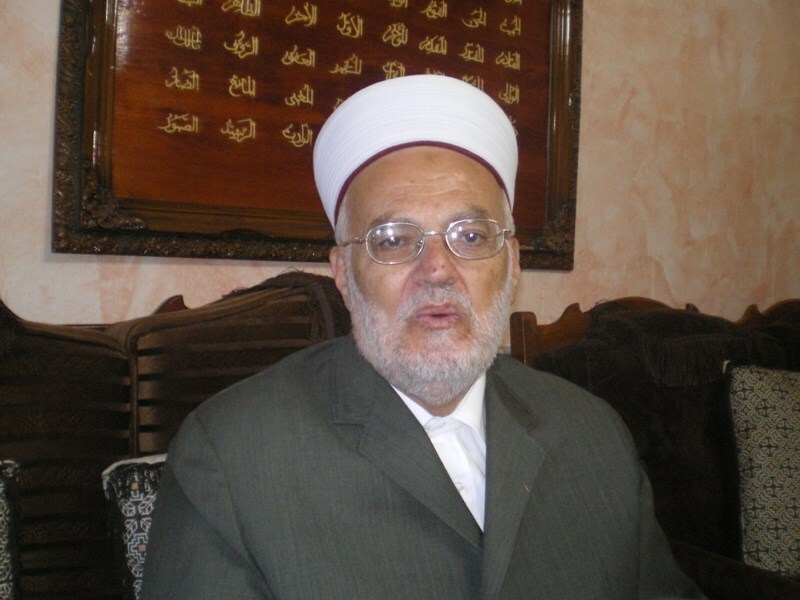 Sheikh Ikrema Sabri called on Arab and Islamic masses to pressure their governments to act in support of al-Aqsa Mosque, slamming the official Arab and Palestinian silence towards Israeli repeated attacks. He also hailed the popular campaigns calling for day of anger in protest against Israeli settlers and forces’ provocative attacks and break-ins into al-Aqsa Mosque over the past few days. Speaking to the PIC reporter, Sheikh Sabri stressed the urgent need for a popular uprising to defend the holy shrine. He also stressed the need to pressure Arab and Islamic countries to officially act for the protection of al-Aqsa Mosque and to work for putting an end to Israeli escalated violations. The al-Aqsa Mosque compound is Islam’s third holiest site after Masjid al-Haram in Makkah and Masjid al-Nabawi in Medina, he stressed. Sheikh Sabri slammed the PA’s passive position and continued silence towards the Israeli systematic attacks in occupied Jerusalem and al-Aqsa Mosque. He pointed out that the ongoing events and conflicts in the Arab world only serve the occupation and facilitate the way for the implementation of Israeli Judaization schemes. Hamas officials on Wednesday rejected demands by Fateh leadership to hand over rule of the Gaza Strip and called for an "uprising" against Palestinian Authority security forces. Fateh leader Azzam al-Ahmad had said on Sunday that Hamas "foiled" efforts towards a unity government, and that the group must hand over rule of the Gaza Strip as a condition for forming the new government. Hamas spokesman Sami Abu Zuhri said that the Fateh leader's comments created tension and were "untrue," blaming the failure to form a unity government on Fateh's "factionalism." He added that Fateh's calls to reform the unity government were a media maneuver, reiterating his movement's willingness to form the government based on national consensus. The unity government formed in June 2014 repeatedly failed to overcome divisive issues between Hamas and Fateh, and the PLO appointed a committee last month to lead negotiations for reforming the government. The consultations have yielded little consensus thus far and received criticism by non-Fateh factions, who convened earlier this month to condemn recent PA arrests as hindering the negotiation process. This sentiment continued Wednesday when deputies of the Hamas movement renewed calls for a "revolt" against the PA over its sweeping arrests of alleged anti-Israeli militants. The deputies, in an act of defiance, held a meeting in the parliament building in Gaza City that has not convened officially since 2007 when Hamas expelled PA security forces after a week of deadly clashes. They called for "an uprising and a revolt against the political arrests" carried out by the PA in the West Bank and for Palestinian factions to adopt "a firm stand against the Authority's crimes against the resistance and its members." The deputies condemned the PA's security cooperation with Israel under the 1993 Oslo accords as amounting to "high treason" that served "Zionist security" interests. Coordination in security operations as laid out in the Oslo Accords planned for a gradual power transfer in the occupied West Bank from Israeli forces to the PA over the course of five years. More than 20 years on, however, Hamas and other factions continue to accuse the PA of acting on Israel's behalf through security cooperation. On July 7, Hamas accused the PA of having detained more than 200 of its members in the West Bank, in a sweep that MP Khalil al-Haya charged was aimed solely at "assisting the occupier" against anti-Israeli militants. 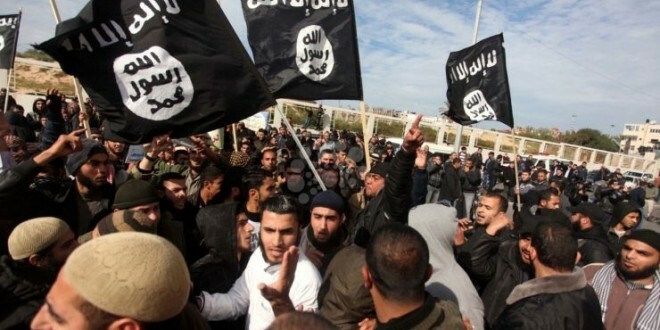 Hamas leader Abd al-Rahman Shadid said at the time that many of those detained were left with signs of torture, and that the arrest campaign was part of an organized project aiming to "eradicate the movement." 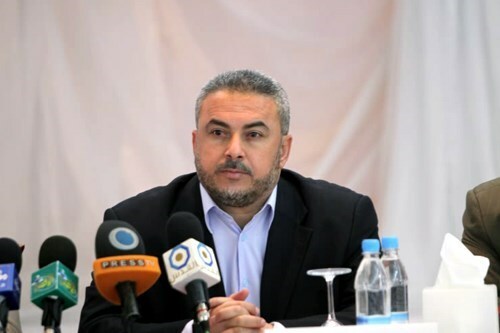 Hamas spokesman Sami Abu Zuhri said in a statement that al-Ahmad’s claims as regards the unity government only fan the flames of existing tension. 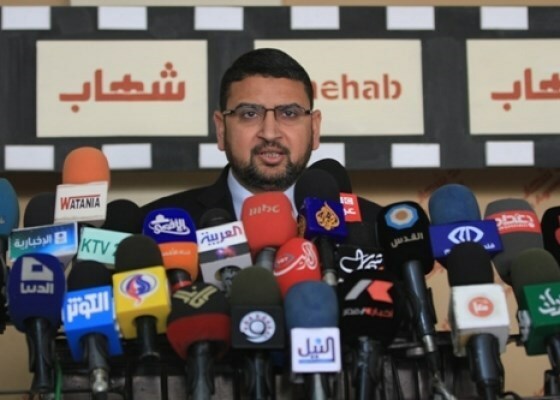 Abu Zuhri further slammed al-Ahmad for his backbiting against Hamas, attributing the government’s failure to fulfill its mission to the partisanship and segregation perpetrated by Fatah-affiliated officials. “Al-Ahmad’s statements prove that the calls to nominate a new government line-up are mere media maneuvers,” he said. 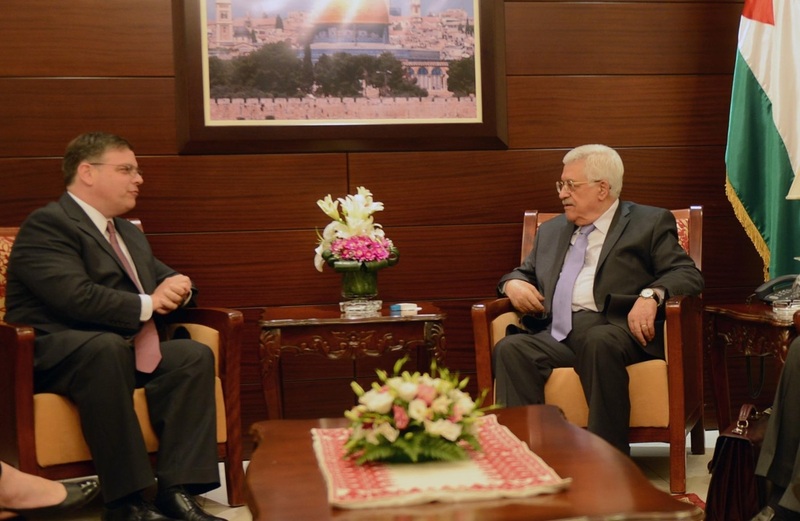 He reiterated Hamas’s readiness to form a new government following deliberations with Palestinian national factions. 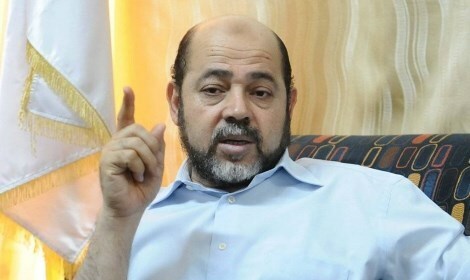 Al-Ahmed accused Hamas of refusing the formation of a national unity government instead of the current national consensus government and of foiling reconciliation efforts. 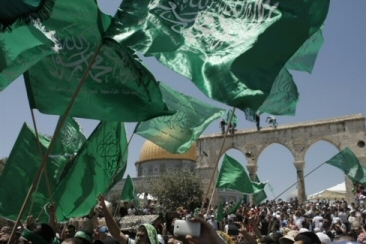 Hamas Movement warned Monday the Palestinian Authority on talks resumption with Israeli occupation. Speaking to Quds Press, the leader in Hamas Movement Ismail Radwan warned the PA of resuming peace talks with Israel whether publicly or secretly. Talks resumption means giving up more national constants and rights and more kneeling and submissiveness to the Israeli enemy, he said. Radwan stressed the urgent need for convening the provisional leadership of the PLO and achieving national reconciliation. 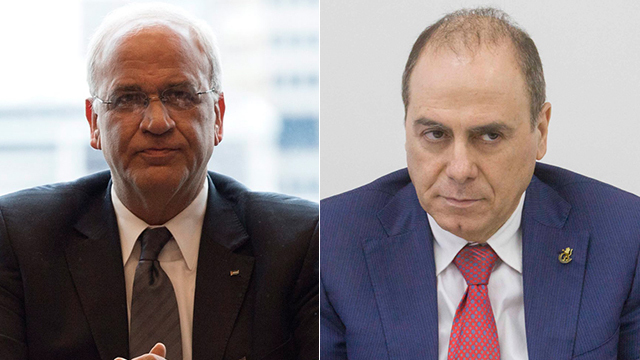 Earlier, Israeli media sources revealed that Israeli Interior Minister and Deputy Prime Minister Silvan Shalom held a secret meeting with chief Palestinian Authority negotiator Saeb Erekat in the Jordanian capital of Amman last week. The purpose of the meeting was to discuss ways to renew the Israeli-Palestinian peace process, which has been stalled for more than a year. Silvan Shalom and Saeb Erekat meet in Amman to 'break the ice' in attempt to restart peace talks; Netanyahu, Abbas okayed meeting. Minister Silvan Shalom, who was appointed Israel's negotiator with the Palestinians, met in secret with his counterpart in the Palestinian Authority, Saeb Erekat, in Jordan on Thursday. Both Prime Minister Benjamin Netanyahu and Palestinian President Mahmoud Abbas were aware of the meeting, which was held in Amman, and approved it. The meeting was held in an attempt to once again restart the halted peace process. Israeli officials said "the meeting was meant to break the ice and see how we could move forward." Israel has been under pressure to take confidence-building measures towards the Palestinians. Shalom, meanwhile, asserted that confidence-building measures and eased restrictions should be based on reciprocity. He said it did not make sense for Israel to take confidence-building measures on the one hand, while the Palestinians turn to the International Criminal Court at The Hague and to FIFA on the other hand to continue making unilateral moves against Israel. 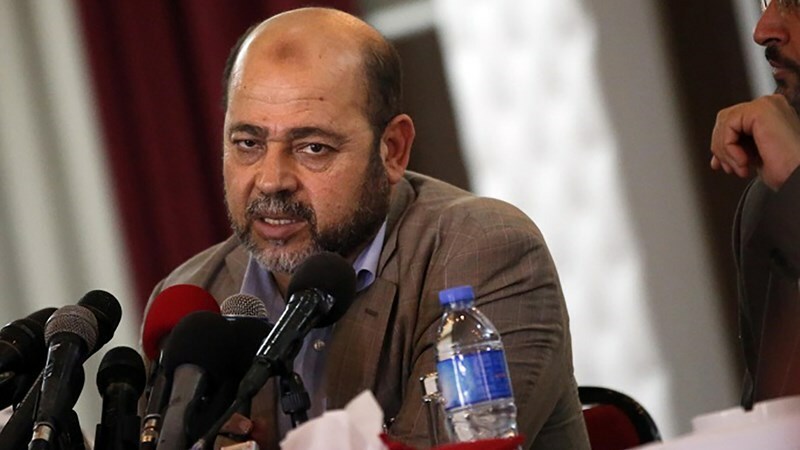 Hamas is keen on maintaining a strong relationship with Iran although it has its ups and downs, political bureau member of Hamas Mousa Abu Marzouk told al-Jazeera Net. “Hamas has always sought to establish a strong and solid relationship with Iran,” he said, reiterating the group’s belief in the importance of regional cooperation and tolerance. He said despite the fact that ties with Iran have not seen remarkable upturns, Hamas has always made sure to hold friendly ties with all parties alike in favor of the Palestinian cause. He said divergences of outlook as regarding the Arab Spring should not be a reason to deepen the regional rift, stressing the need to neutralize such positions and give attention to the more important Palestinian cause and Occupied Jerusalem. “Hamas stands where peoples’ will does,” he said in reference to the group’s standpoint vis-à-vis the current regional turmoil. He voiced his hope that Iran would pursue a constructive position in favor of regional peace and stability. 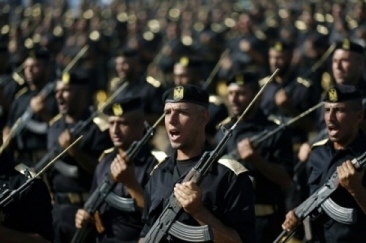 The armed wing of Hamas opened its Gaza summer camp, Saturday, aiming to provide basic combat training for 25,000 Palestinians in the embattled coastal enclave. Hamas, the de facto power in Gaza, is reportedly engaged in indirect contacts with Israel to try to reach a long-term truce, but a year after last summer's devastating 50-day war the militant movement has kept up the fighting talk. "The goal of these military training camps is to train the vanguard for liberation -- spiritually, intellectually and physically -- to be ready and able to play its role in liberation," said a statement by the Ezzedine al-Qassam Brigades, Hamas' military wing. According to AFP, it said that participants, aged 15-60, would spend two weeks being "trained in military techniques and in firing live ammunition" as well as "first aid and rescue techniques." As with all the brigades' activities the camps will be conducted out of public and media sight. Rescue squads dealt with thousands of local victims during the war of July-August 2014, the third in Gaza in six years. Hamas has long run summer camps devoted to sport and study of the Koran in Gaza but over the winter the al-Qassam brigades launched a new kind of camp, giving military training to 15 to 20-year-olds. Human rights activists condemned it as a forced militarization of Gazan society and a violation of children's rights. Brushing off the criticism, the brigades are repeating the exercise with the summer camp, while raising the upper age limit to 60. The group's steadfast approach to resisting the ongoing Israeli occupation has gained criticism in the past. The conduct of Hamas during last summers' war was probed by a UN Commission of Inquiry, which criticized Palestinian factions of "indiscriminate" firing of thousands of rockets and mortar rounds at Israel, which it said appeared to be have been intended to "spread terror" among Israeli civilians. Hamas welcomed the report and has pledged to cooperate with the International Criminal Court. The group views the potential court hearings as a venue to seek justice and enter into what it has termed a "legal battle" with Israel, which is also facing charges of war crimes from the international body. Over 2,200 Palestinians, mostly civilians, were killed during last summer's war, while 73, mostly soldiers, were killed on the Israeli side. Large swathes of the Gaza Strip remain in ruin, with 18,000 homes completely or severely destroyed during the conflict, and more than 100,000 Gazans still homeless. Amnesty International in April also accused Hamas of war crimes, but the group rejected the report, arguing for the right of Palestinians to defend themselves against both the ongoing Israeli occupation and Israeli military offenses. 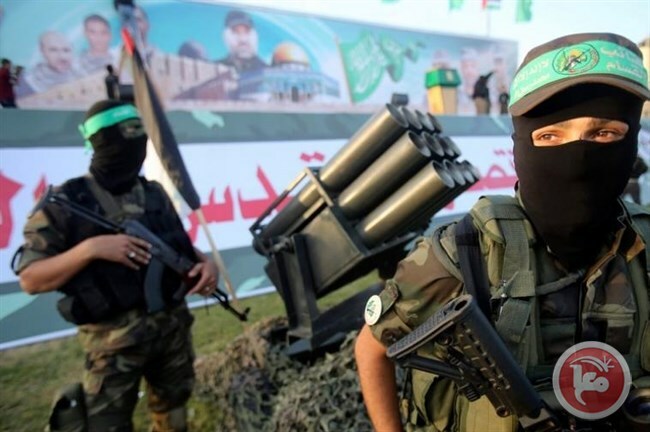 "War crimes have clear specifications, according to the Rome Statute, that do not in any way apply to the Palestinian resistance, which was, is, and will defend its people," Hamas responded to the report. Al-Qassam Brigades said in March that it had recovered from Israel's offensive last summer and was "not afraid" of confronting the occupation again. The Gaza Strip has remained under a tightly-controlled land, sea, and air blockade since 2007. Rights groups and the international community have repeatedly called for Israel to lift the blockade to ease the current humanitarian crisis, warning that its continuation will promote further unrest in the strip. Political bureau member of Hamas Dr. Mousa Abu Marzouk on Saturday called on Palestinian parties from across the political spectrum to convene an emergency meeting and discuss ways to form a government of national unity to work out internal crises. Abu Marzouk urged, in a press statement, all the Palestinian parties that signed the 2011 Cairo Accord to observe all the bonds of the reconciliation agreement and to jointly work on forming a new government of national consensus. The Hamas official stressed the need for any future government to recognize the legitimacy of Gaza’s workers and work on restoring their infringed rights. “No minister can ever fulfill his mission by recruiting a staff whose legitimacy has not been recognized and salaries have not been shelled out,” he said. He further stressed the importance of social consensus and reconciliation as the only way out of any internal tensions. Abu Marzouk further pushed for working out Gaza’s power crisis, lifting the tough blockade, unblocking the crossings, establishing a seaport, and pressing ahead with reconstruction projects. He urged the leadership of the Palestine Liberation Organization to convene an open meeting and discuss ways out of all outstanding crises. Hamas spokesman Sami Abu Zuhri said, in a statement, that the fact that Abbas sees negotiations as an act of conspiracy against the Palestinian people is a self-proclaimed confession that he is the biggest conspirator against Palestinians. “The fact that Abbas will work on thwarting the alleged negotiations will only give Hamas the right to stand as a stumbling block before his incessant negotiations with the Israeli occupation,” Hamas added. Earlier, during the Fatah Advisory Council meeting held on Thursday evening, Abbas voiced his rebuff of all initiatives of an interim state, warning of alleged negotiations between Hamas and Israel on a temporary ceasefire aimed at detaching the Gaza Strip from the rest of the Palestinian territories. Hamas has, meanwhile, repeatedly denied that it has conducted negotiations with the Israeli occupation vis-à-vis a truce in the Gaza Strip, despite international endeavors in this regard. 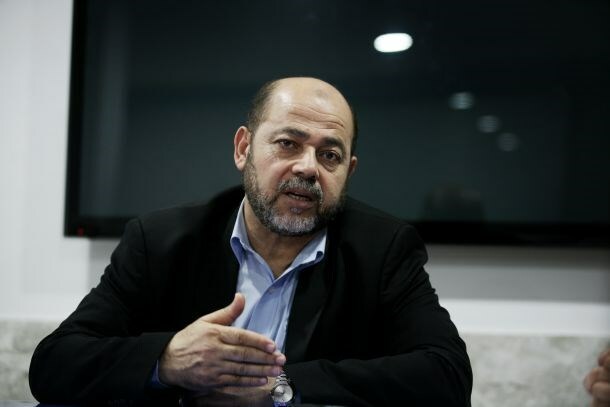 Senior Hamas official Mousa Abu Marzouk has said that the resistance in the West Bank will not stop until the occupation is ended and the usurped Palestinian rights are restored. In Facebook remarks on Thursday, Abu Marzouk stressed that the Palestinians have a natural right to resist the occupation on their own land. "What the resistance heroes are doing in Jerusalem and the West Bank is the duty imposed upon them by their religion and their country, and it is a job that every honorable person feels proud of," the Hamas official underlined. He also described the Palestinians who had been either arrested or killed as a result of the security collaboration between the Palestinian Authority and the Israeli occupation as "the pride of the Muslim nation." Abu Marzouk made his remarks in response to Israel's killing of a Palestinian man during a raid on his house on Thursday in Beit Ummar town, north of al-Khalil.